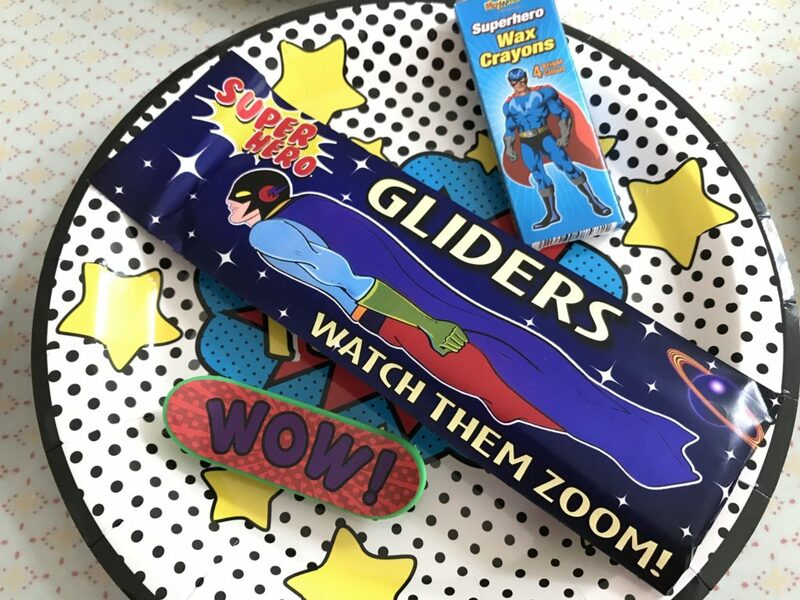 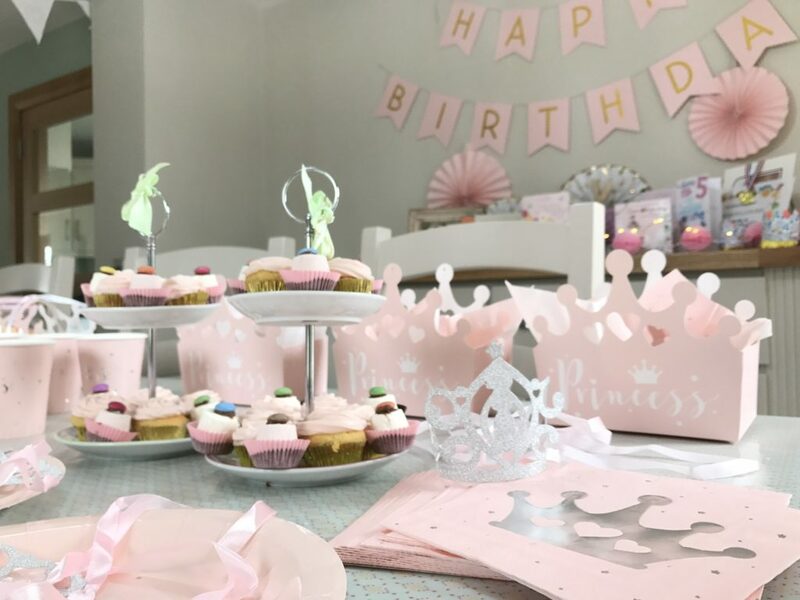 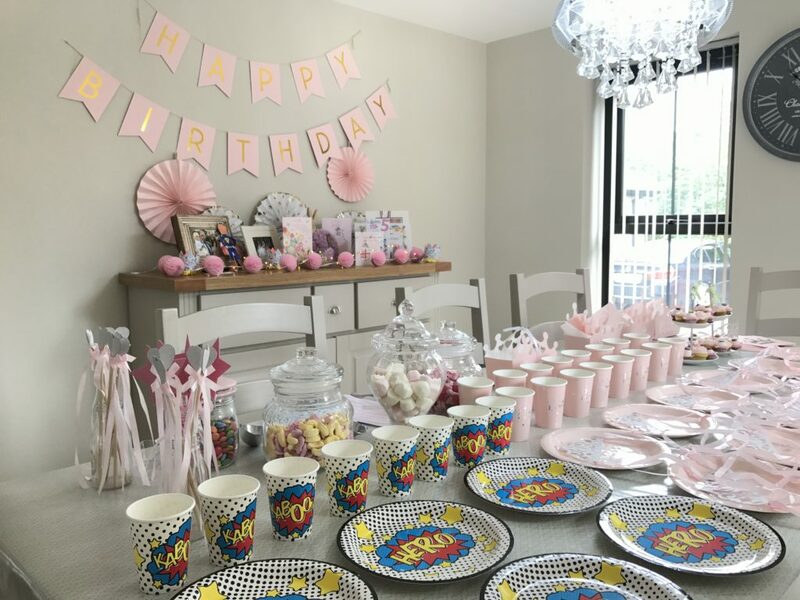 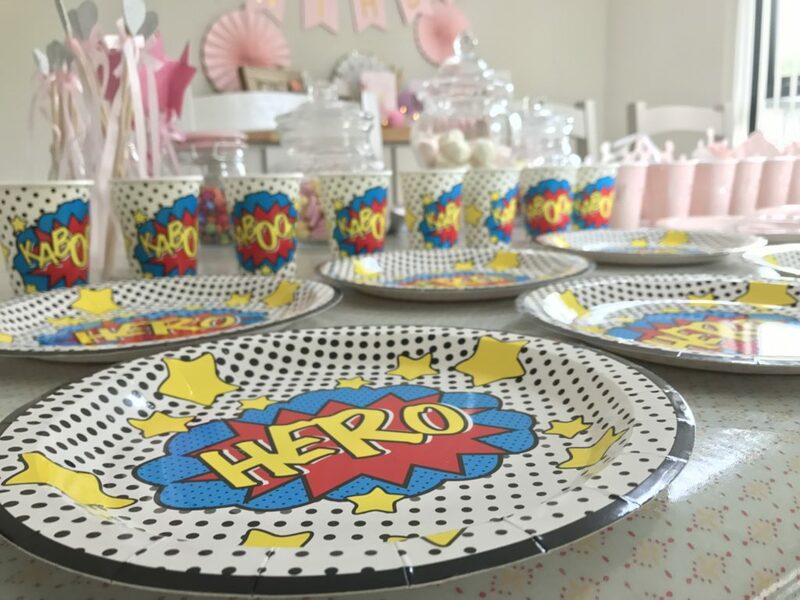 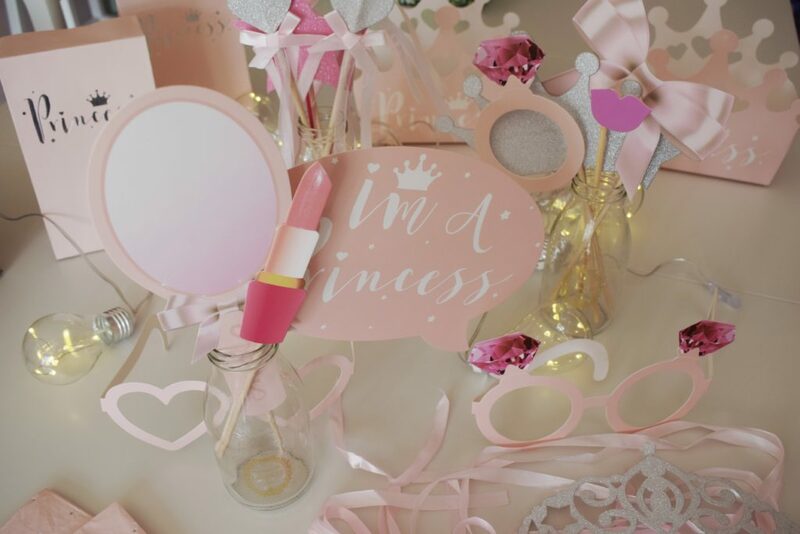 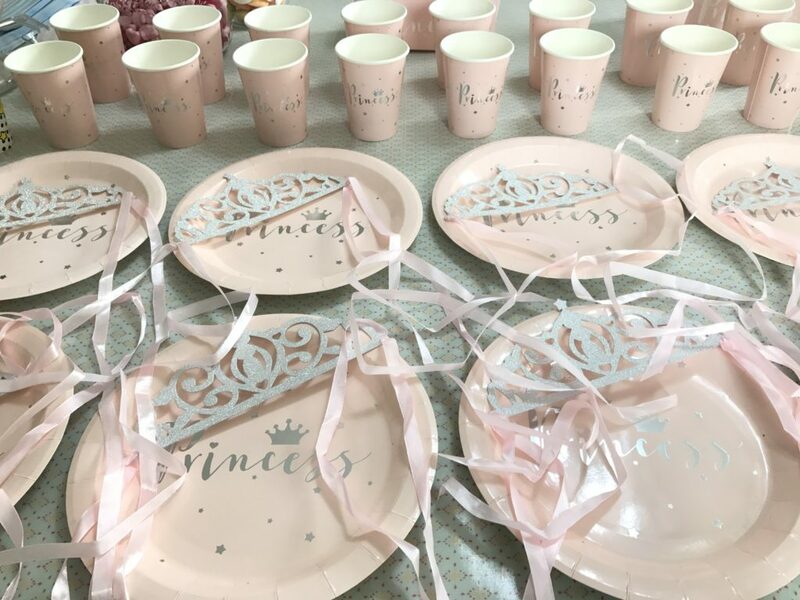 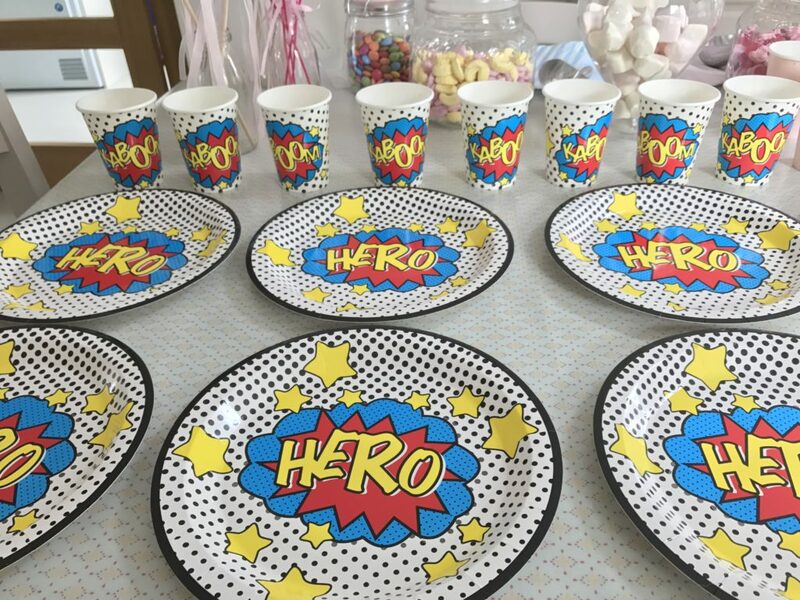 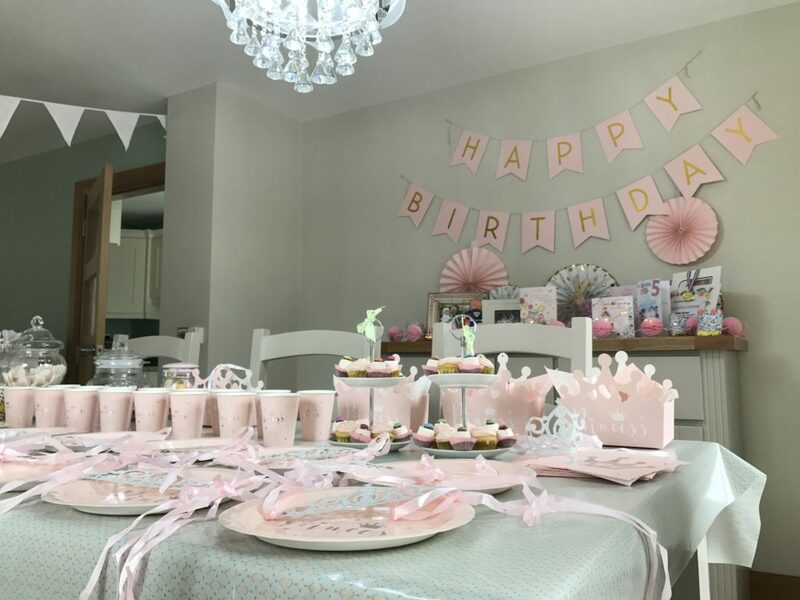 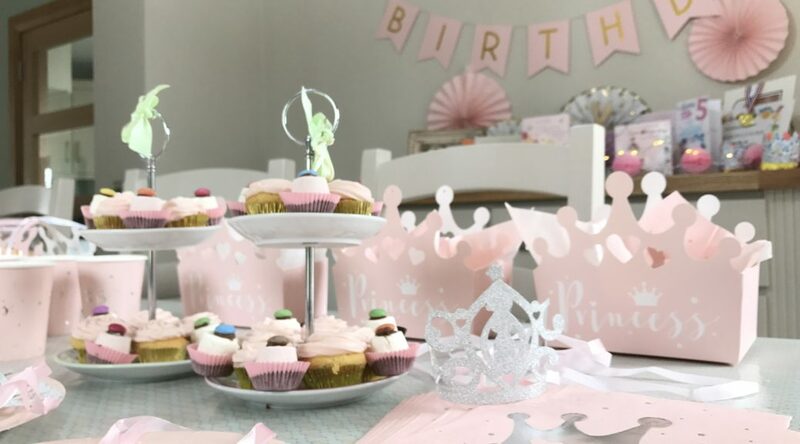 This lovely 5th birthday party was set up in the birthday girls beautiful home and had a mixture of boys & girls as guests so we decided on a joint theme of Princesses & Superhero’s which was lots of fun to set up! 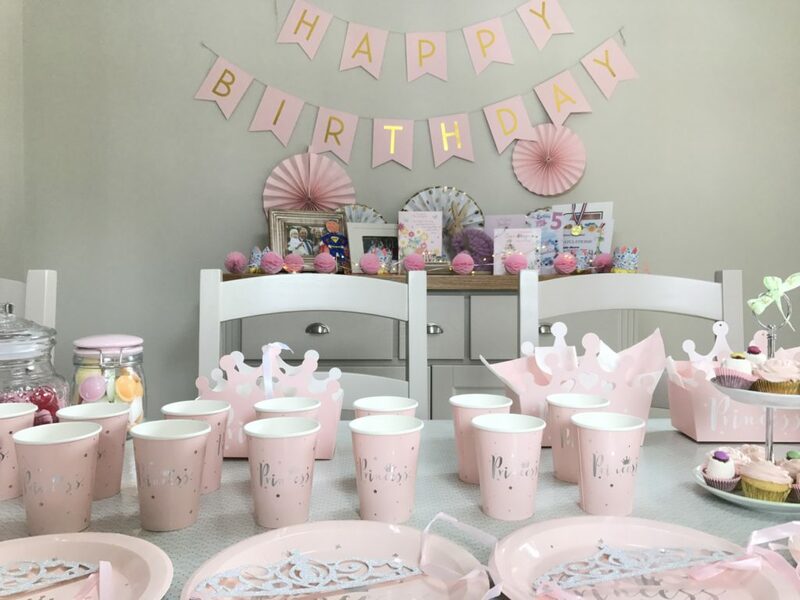 All the gorgeous partyware and party bags were from the fab Party Pieces and the children loved it all from start to finish! 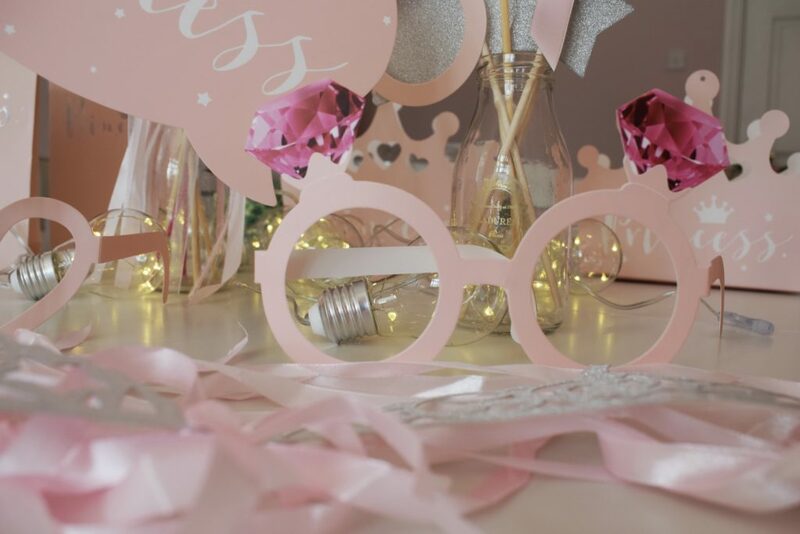 A big favourite were the photo props and the children loved getting their pics taken with them and the girls particularly loved the little glittery tiaras and wands. 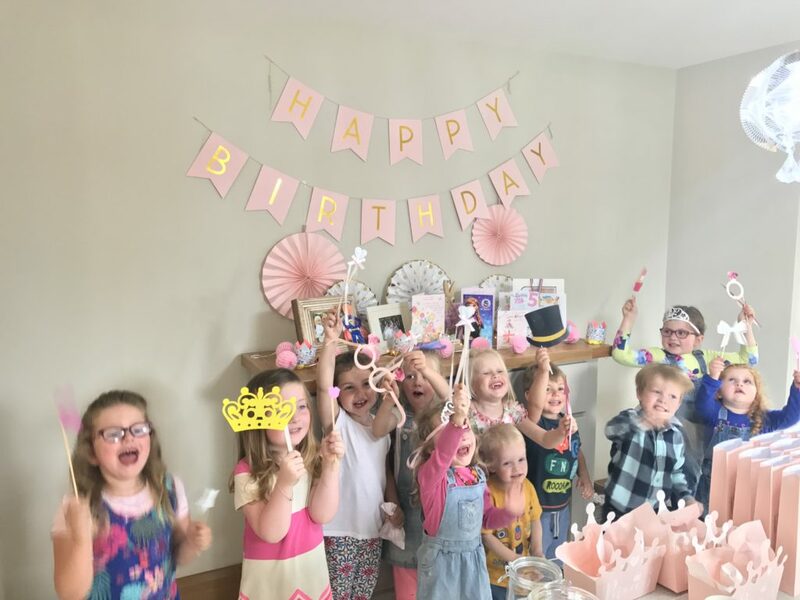 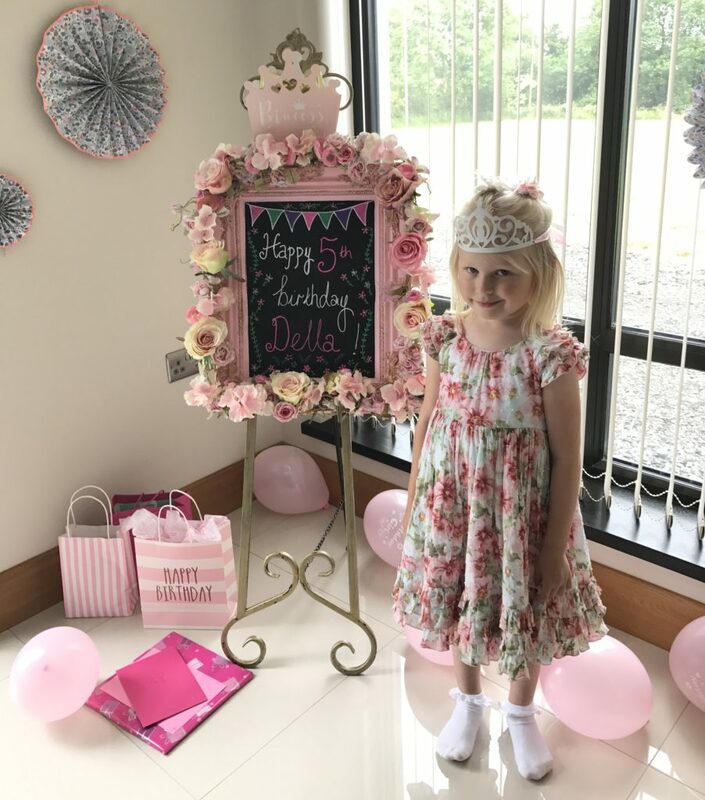 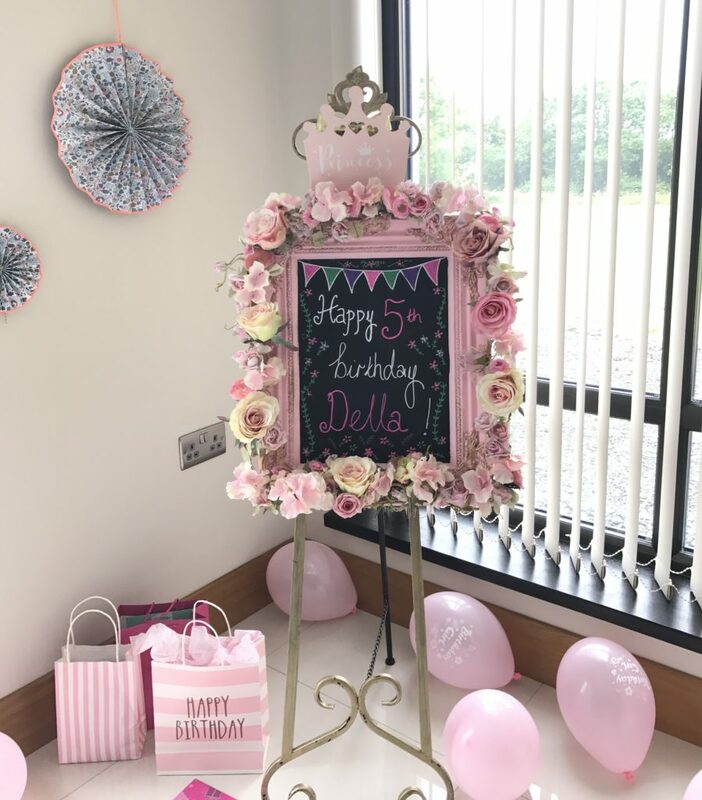 We displayed a pink happy birthday blackboard decorated with flowers on an easel and it was the perfect spot for the birthday princess to have her pic taken in her gorgeous Laura Ashley party dress and sparkly tiara! 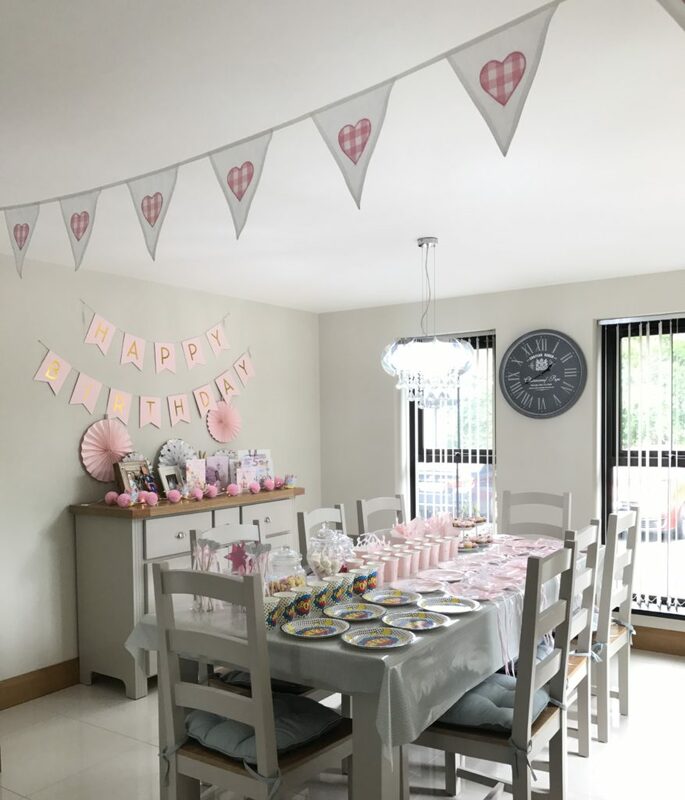 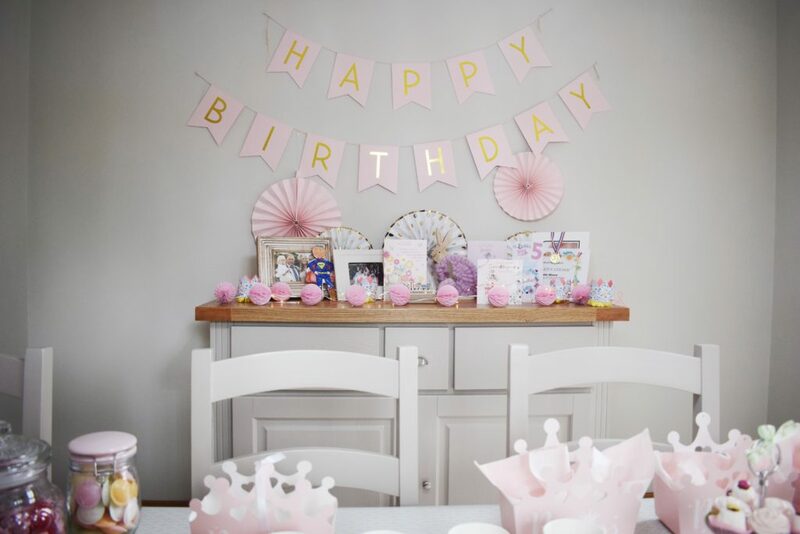 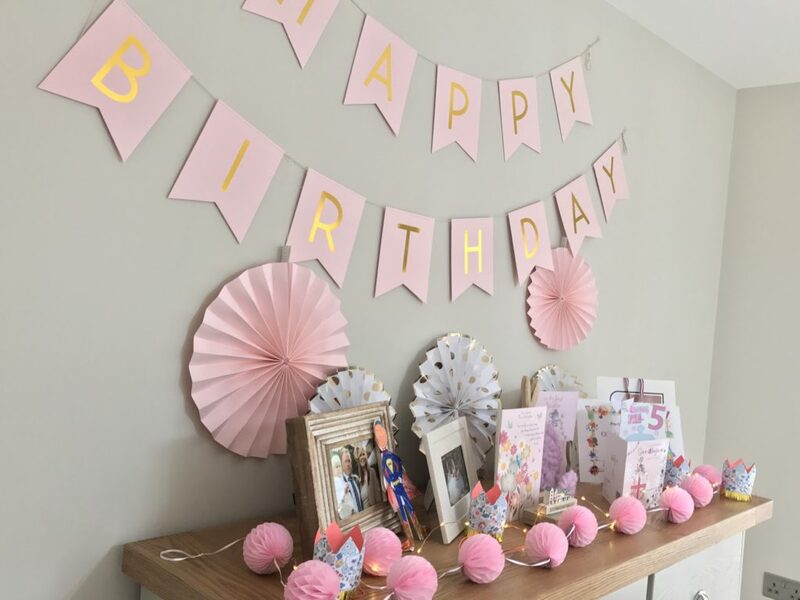 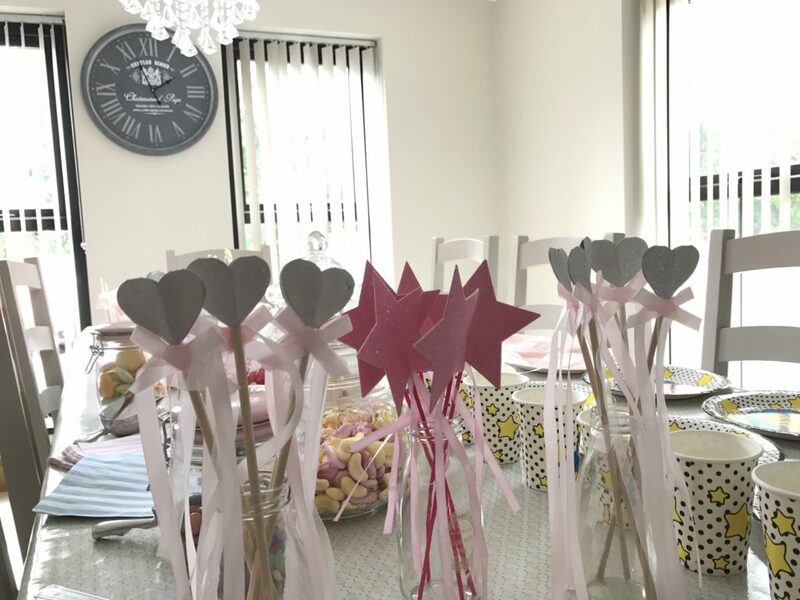 I used lots of Pinwheel decorations around the room and hung pretty happy birthday bunting up in the dining area where the table was set with all the party cups & plates for the children to help themselves to the party food. 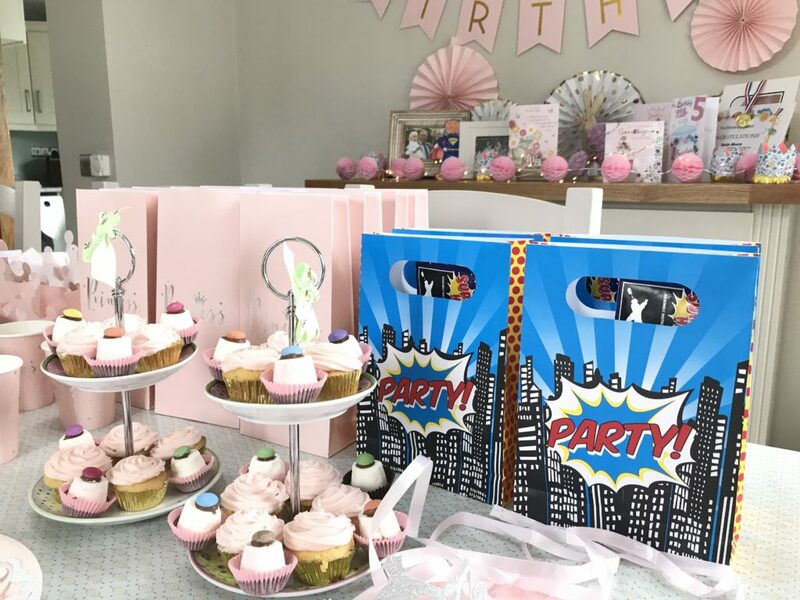 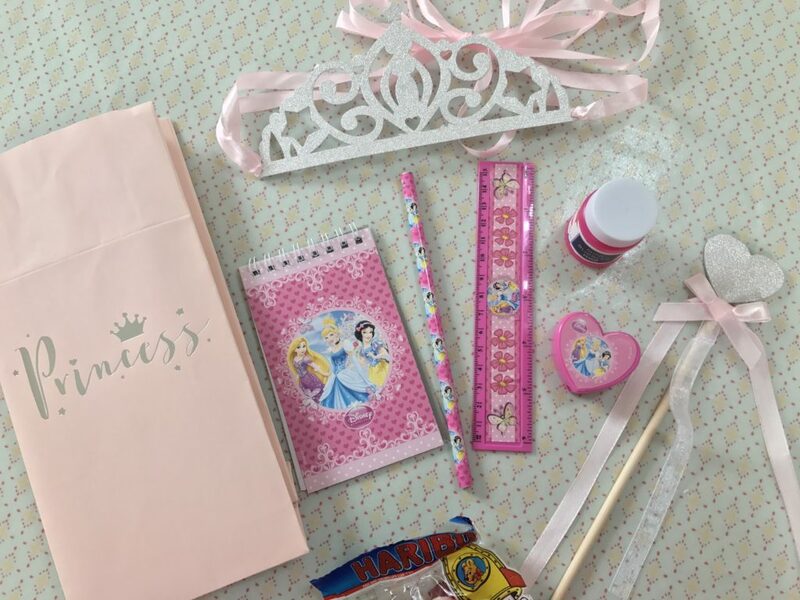 There were lots of party games and running around by all the little princesses & superheroes and they all went home thrilled with their party bags filled with goodies!